Do not attempt to use acid solutions to melt the dead turtle's soft tissue. Those are dangerous, and for professional use only. Leave your turtle in a seldom-traveled but memorable spot. You must be able to find the shell again after you drop it off. Losing a beloved pet is always difficult. Turtles are unique, however, because of their shells. While the rest of the turtle decomposes, the shell remains intact. For those who don't want to say goodbye to their reptilian friends, preserving their shells is relatively easy. There is little variety to the process, and no matter the route, it takes strength--both of the mind, and of the stomach. If you're determined to preserve what's left of your turtle, though, it's possible. Before long, what remains of your old pet could be sitting on the bookshelf, a memento of what you once shared. Leave your dead turtle outside. Though this sounds counterintuitive to the preservation process, don't worry--the shell will survive. Decomposition is natural, and the process is aided by the elements and insects found in the wild. Either leave the shell in an open space or bury it somewhere moist. Either way, remember where you left it. 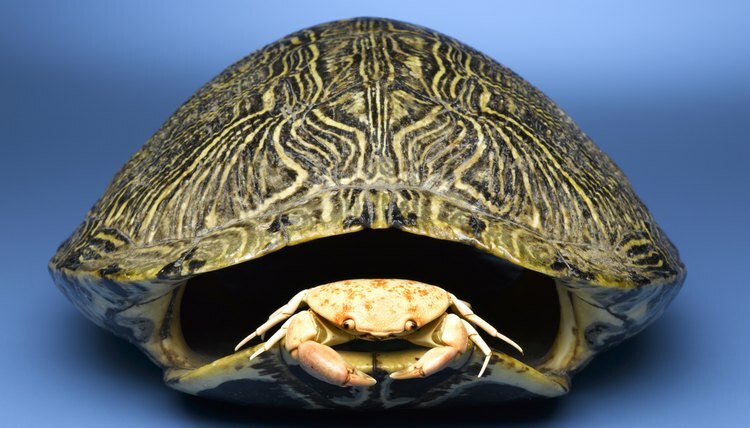 Check on your turtle every few weeks, but be patient--the process can take months before the soft tissue is completely decomposed and the smell has faded. Clean out the inside of the turtle shell--and wear rubber gloves. The preserved bones of the dead turtle will remain in its former shell, and it's up to you to remove them. Use the handle of a toothbrush for any hard-to-reach areas. Gently scrub the shell using hot water and a toothbrush. Be sure to scrub out the inside as well as the outside--the cleaner the shell, the better-preserved it will be. Cook your turtle from the very beginning to get faster results. You can simmer your dead turtle in a pot or pan shortly after is has died. Eventually, the soft tissue falls apart and drops off. This produces noxious odors, so only use this method if you have a well-ventilated area and little time to waste.